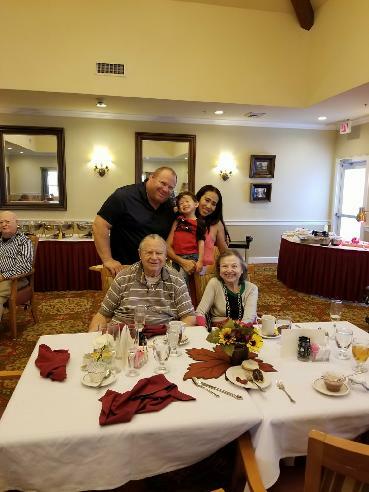 All Valley BBQ, Spa & Fireplace was started in 2000 by Steve & Ellie Berliner when they were selected to supply the bbq equipment to the new Trilogy Community in Corona, CA. The business was called "Steve Berliner Enterprises" and was a home-based business in La Quinta. 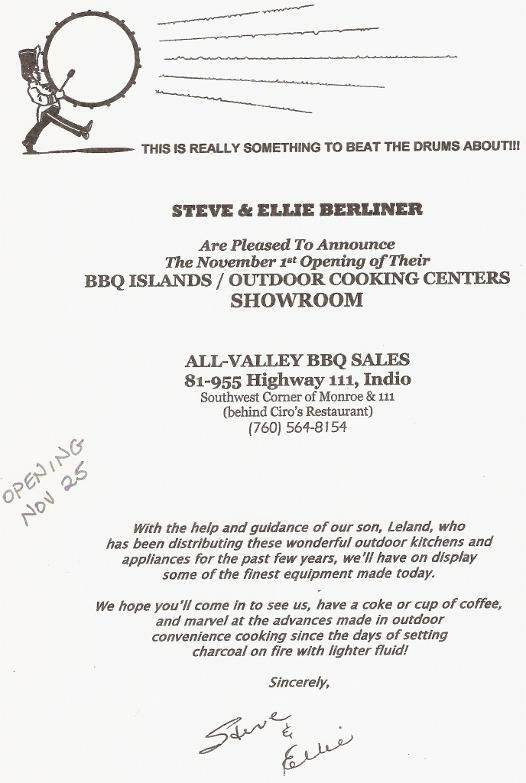 In the next two years, contractors from pool companies started buying better-quality bbq equipment from Steve and Ellie and in 2002, All Valley BBQ was opened in Indio, CA. Expansion into spas, fireplaces, umbrellas happened and the business grew. In 2006, Leland (their son) took over and incorporated the business. It was already reaching into Orange County, so the expansion was going well. When the recession hit, three competitors were bought up (or taken) to come under the Corporate wing, and in 2015, All Valley moved to their permanent home in Palm Desert on Country Club Drive. All Valley has always been both a Distributor AND a Discounter - never Retail. What people enjoy about All Valley is that there are genuine discounts, no pricing games, and a relatively small showroom... true "Mom and Pop"!! Leland Berliner, Operations Manager Leland has extensive knowledge in bbq's, heaters, fireplaces, firepits and spas/hot tubs, working with both manufacturers and dealers for many years. His wealth of knowledge has helped shape many different equipment suppliers, often times being asked to help with the updates to products, or to 'try' a product before changes are incorporated. Being an Honorably-Discharged Veteran of the United States Air Force with a background in Administration, Leland knows what it takes to not only run an operation, but to quickly adapt to changes in the industry, helping the business stay on top of the latest changes and offerings - this helps our clients get the best products available. His mantra is "Quality, Performance & Value", and he takes this very seriously. The local competition likes to offer products that are inexpensive with relatively low-quality manufacturing, but Leland's parents live locally, so if they see that stuff on the showroom floor, somebody is gonna get a whipping!! :) So while Leland's on-board, there will only be quality products offered for sale. We ARE a direct-source for contractors, being able to build specialty products for most anything. We only sell quality - if you want price, then please go elsewhere. Again, it's important to note that we do not subscribe to the foreign-built junk grills, as they tend to be costly to repair and end up costing you more in the long run. Remember; it's your money - Why not get something good for it? Please remember that it's not hard to be the low-price leader in any given market.... what IS difficult is to do it and stay in business! :) So, come to All Valley BBQ, Spa & Fireplace.. we hope to make your cookin'... good lookin'!! Great products, low prices, quality performance, discount prices, good people, clearance prices, knowledgeable sales staff, excellent prices, friendly advice, & we sell parts for most outdoor products!